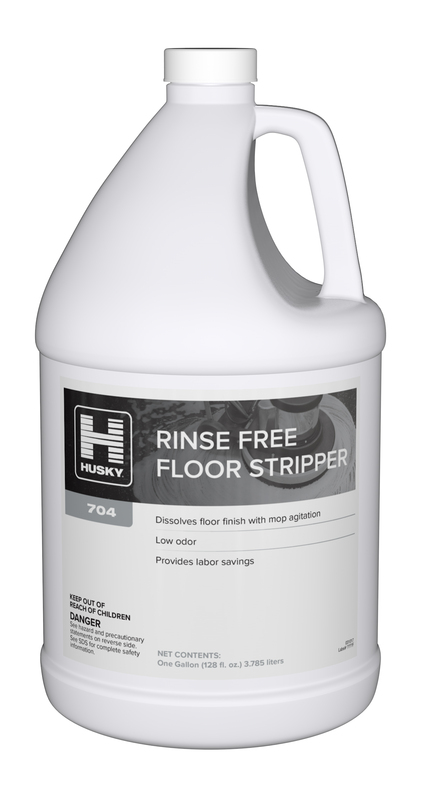 Rinse-free stripper efficiently cleans resilient tile flooring and removes layers of floor finish. In most situations, simple mop agitation dissolves finish buildup, permitting fast pick up with a mop or wet vac. No neutralizing rinse required, and no residue is left behind to interfere with subsequent finish application. VOC Carb compliant.